Our Mother City is one of the most beautiful cities in the world. Andante Tours is a private Tour Operator offering guided tours in and around Cape Town and the Western Cape. Others services include Airport Transfers, Shuttles, as well as day trips to all the local festivals.We specialise in private and exclusive tours. A must for any visitor to the Cape. We drive to Muizenberg and follow the False Bay coast past the fishing village of Kalk Bay, Fish Hoek and Simon's Town where we visit the penguin colony at Boulders Beach. 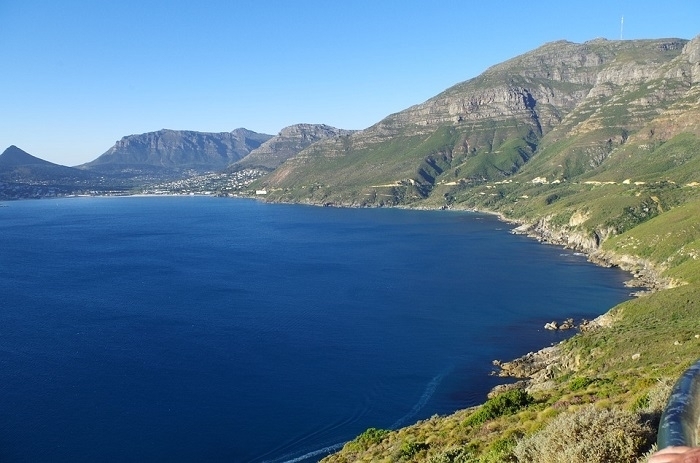 We continue to Cape Point, with spectacular views from the old lighthouse, to Hout Bay via Scarborough, Misty Cliffs, Noordhoek and the world famous Chapmans Peak Drive. 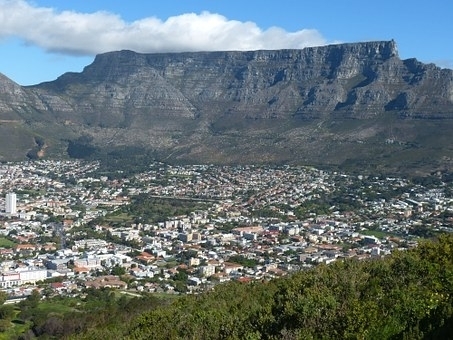 Our return journey to Cape Town takes us along the Atlantic Seaboard past the Twelve Apostels and through Camps Bay, Clifton, Bantry Bay and Sea Point. We take in the splendour of the Cape Winelands. Choose between the historic Constantia region with Groot Constantia being the oldest of the country's many wine farms, Durbanville Hills the modern or the scenic mountains and vineyards of the Boland where we will visit Paarl, Franschoek and Stellenbosch. We do a cellar tour with basic lecture on wine making and tasting, and taste the wines of at least two other award-winning wine estates. We will understand if you cannot choose and spend three days doing them all! 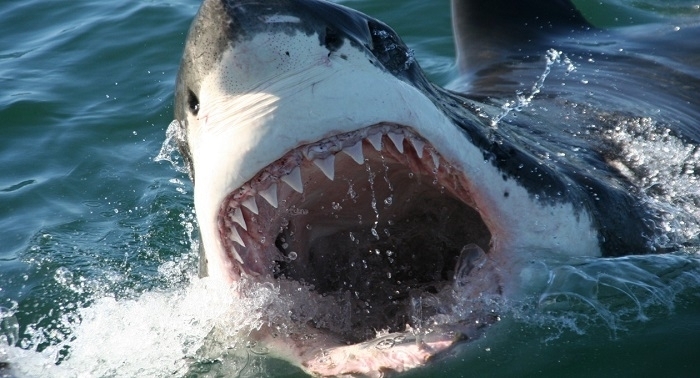 Get up close and personal with a great white shark, a legandary apex predator. I have an arrangement with Marine Dynamics in Gansbaai and will transport the guest to the Great White House where they will be treated with a breakfast and are taken to the luxury cage vessel for the experience of a lifetime. Marine Dynamics can guarantee a Five Star experience with their expert crew and the priority they place on safety. They always have a Marine Biologist on board. They are committed to conservation, and money from their fee contributes to research and conservation projects. The Overberg: A fun day with spectacular coastal drives and whale watching. We travel to Hermanus over Sir Lowry's Pass and past the apple orchards of Elgin and Grabouw to Walker Bay - one of the world's best land-based whale watching points. 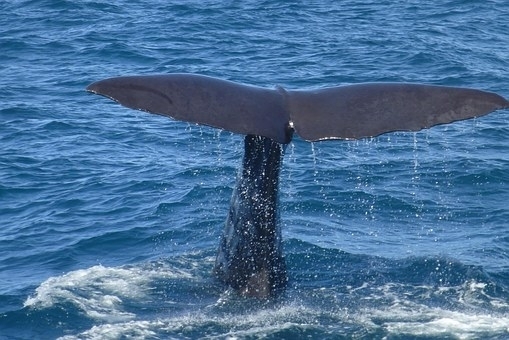 Although whale viewing is seasonal (July to November), Hermanus boasts with permanant Southern Right residents! We return through Kleinmond and Betty's Bay where we visit the penguin colony at Stony Point, and along the 18 kilometer Clarence Drive between Rooiels and Gordons Bay, one of the most scenic coastal drives in the world! A truly unique region with rugged beauty and true diversity. The simple landscape of gentle fynbos and endless beach, with 10 million year old fossils, rich birdlife and spectacular wild flowers in spring. Visit Yzerfontein with it's Sixteen Mile Beach, the 17 kilometer long Langebaan Lagoon - a Ramsar-protected wetland. We visit Paternoster, an endearing fishing vilage with white washed cottages and drive the St Helena Bay coast past Da Gama's Cross past the big fishing industry to the Berg River estuary surrounded by the small settlements of Velddrif, Laaiplek and Port Owen. 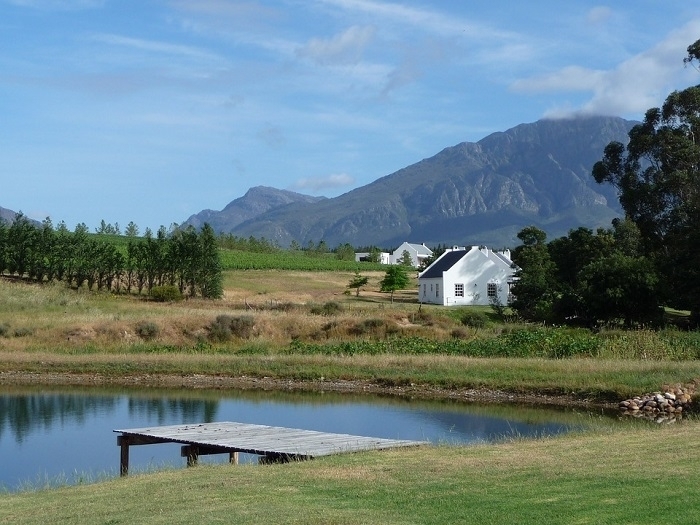 We drive to Stellenbosch and explore te town: Oom Samie se Winkel, Dorp Street, Die Braak, the University Buildings, Helshoogte Pass and enjoy coffee/tea and scones at Hillcrest Berry Farm overlooking the Banhoek Valley. We visit historice Boschendal Wine Estate and taste their award-winning wines, visit Franschoek drive the scenic Franschoek Pass and continue past Theewaterskloof Dam, Viljoens Pass, Grabouw, Elgin and Sir Lowry’s Pass to Mooiberge where you can pick your own strawberries in season.